This examination is being given to fill one vacancy in the TB and Communicable Disease Department of Public Health Services and to establish an eligible list which may be used to fill future vacancies. Resumes will not be accepted in lieu of an application. A completed application must be postmarked or received online by the final filing deadline. Pre-Employment Drug Screening Exam: This classification requires a new employee successfully pass a pre-employment drug screen as a condition of employment. Final appointment cannot be made until the eligible has passed the drug screen. The County pays for the initial drug screen. Investigates cases of communicable disease through field visits, by telephone or other electronic means; conducts field investigations to locate suspected infected persons; makes referrals for medical examination and/or treatment; interviews suspected or diagnosed clients and their contacts; conducts follow-up interviews and provides counseling to ensure treatment program is followed. Collects data and medical information from clients, medicals records, laboratories, and health care professionals. Prepares and conducts informational and educational presentations to community groups and high-risk individuals regarding communicable diseases, effects, and prevention. Maintains communicable disease investigation records; enters data into structured data bases, and prepares reports. Maintains cooperative relationships with patients, health care professionals, and local officials and agencies on communicable disease reporting and control; distributes educational materials. After appropriate training, and/or certification, may be required to collect specimens, draw blood, place and measure tuberculosis skin tests. May be required to participate in and pass certification to work in certain programs, such as HIV/AIDS or STD Control. Assists in enforcement of public health laws, regulations, ordinances, and health orders; serves legal orders from the Health Officer. Education: A bachelor’s degree from an accredited college or university in biological sciences, health science, public health, behavioral sciences, or a related field. Education: Completion of 60 semester or 90 quarter units from an accredited college or university with major coursework in biological sciences, behavioral sciences, health education, health science, public health, nursing, or a closely related field. Experience: Two years of experience working in a public health department or community based or medical organization in the provision of community based health services such as communicable disease investigation, treatment and control, health education, counseling, interviewing, or a closely related field.  Certifications: Upon employment with San Joaquin County, incumbents may be required to successfully complete one or more of the following depending upon the nature of the assignment: 1) a state approved phlebotomy course; 2) TB testing, HIV/AIDS counseling, and/or sexually transmitted disease certification. Methods and techniques of investigation; communicable disease prevention; methods of transmission, diagnosis and treatment of communicable diseases; public health law related to communicable diseases; health education methods; principles and practices of diagnostic testing; medical recordkeeping methods; basic computer and modern office automation technology and computer software programs relevant to department operations. Elicit and record complete and accurate medical information, frequently through an interview process; identify medical conditions which require immediate consultation with the physician; follow protocols established by public health professionals; conduct diagnostic testing; recognize the behavior and attitudes that influence individual high risk behaviors; provide guidance and health instruction to patients; work with high risk clientele; learn to work independently; operate basic computer and modern office automation technology, including pertinent software; communicate effectively, both orally and in writing; make presentations to groups regarding communicable disease control. Mobility-Operation of a data entry device; repetitive motion; frequent sitting, standing, walking; driving; occasional pushing, pulling, bending; Lifting-Frequently 5 pounds or less; occasionally 5 to 30 pounds; Visual-Frequent color perception; occasional eye/hand coordination, peripheral vision and depth perception; frequent reading and reading/close-up work; read computer screens; use of eye/hand coordination; Dexterity-Reaching; grasping; repetitive motion; writing; Hearing/Talking-Constant hearing of normal speech, hearing/talking on the telephone, talking in person; Emotional/Psychological-Frequent decision making, concentration, and public contact; occasional exposure to trauma, grief and death; public speaking before large groups; Special Requirements-Some assignments may require working weekends, nights, and/or occasional overtime; working alone; Environmental-Occasional exposure to hazardous materials; working in varied weather conditions.